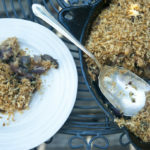 A cassoulet is an Occitan dish–that part of Southern France where they speak a beautiful and fading romance language, Occitan. It is a stew of beans and meat; sometimes pork, sometimes goose, or mutton or whatever else they please. It is hearty and traditionally cooked in a cassole, a deep earthenware pot with slanted sides. But since I am not Occitan, but me, I cooked mine in a skillet. I had returned from a morning of duck hunting in New Orleans with a few ducks and coot, and had visions of cassoulet. I wanted mostly to include it in my next book as a recipe. And so I took all of the big gizzards of the coot and their muscular legs, and the tiny legs of the teal and with some salt, star anise, orange peel and a good dose of duck fat, I turned them into a confit. 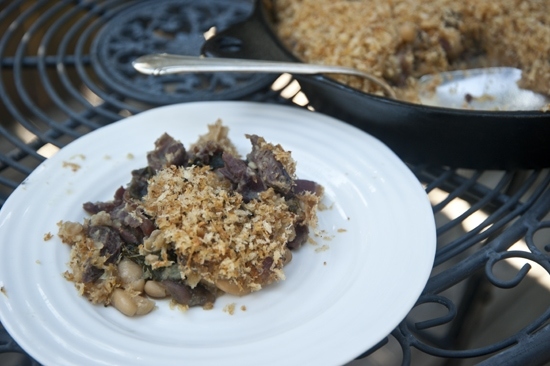 Once I had a pile of confit meat the next day, I combined them with some caramelized pearl onions, some homemade bacon, white beans, rosemary and other aromatic bits and finished it all with some breadcrumbs. The result was quite lovely. It was a baked stew of sorts, in the French style, and makes use of all of the duck parts–slightly set; warm, chewy, soft, and a bit custardy. My favorite thing about this dish is that the meal is cooked and served in the same skillet. The recipe suggests duck leg confit, but the gizzards, hearts and other offal can be confited and used here as well. Be sure not to add much if any salt to this recipe, since the confit already has plenty of salt from the cure. Place the head of garlic in tin foil and drizzle with 1 tablespoon olive oil. Close the tin foil and place in the preheated oven. Cook until the cloves are soft, about 1 hour. Remove from the oven and squeeze the cloves out of the garlic skin. Mash with a spoon and set aside. In a skillet or ovenproof pan, heat 1 tablespoon olive oil and brown the cippolini onions on one side, about 3 minutes. Season them with salt and pepper, flip them over and place the pan in the oven. Cook until browned and tender, about 30 minutes, tossing frequently. Remove from the oven. If using cippolinis, cut them into quarters, if using pearl onions, leave them whole, and set aside. Add the shallots and sweat until translucent, about 5 minutes. Add the kale and let wilt. Add garlic puree, beans and cippolinis and let simmer for another 15 minutes. Add duck meat and simmer for 30 minutes. In a separate sauté pan add 4 tablespoons olive oil. Brown the bread crumbs, stirring constantly. Add rosemary, and red pepper flakes. Remove the bread crumbs from the heat and continue to stir for a few minutes until the pan cools down. 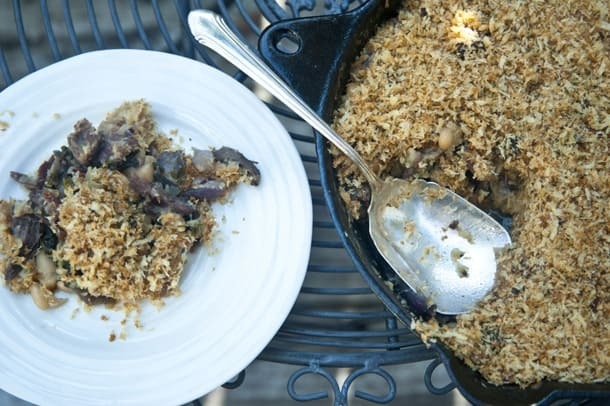 Top the cassoulet with the bread crumbs and place in the oven for 10 minutes. Serve immediately in the skillet, table side. Tip for onions: soak them in a bowl of warm water. When you’re ready to peel, use a small knife and cut a slit down the side, then peel the skin back around the onion in one layer. 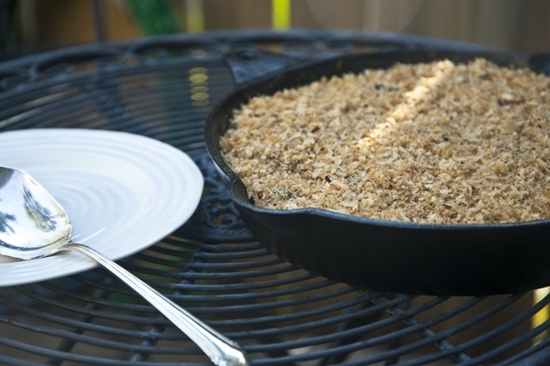 *Can be cooked in a casserole or other pan that can be transferred to stove. Skillets work best because the ingredients don’t need to be transferred and the dish can be served tableside. While visiting my dad yesterday he mad me his version of a Philly-Steak Sandwich. Instead of traditional steak, he used marinated duck meat that he had cut into pieces. He layered it on a hoagie roll with sauteed peppers, onions and a slice of pepper jack cheese and broiled it till the cheese melted and the hoagie roll was browned. Oh my goodness it was amazing!!! He loves to make duck stew as well!! I grew up eating all kinds of wild game and loving it. Elk is by far my fave!! Unfortunately my hubby doesn’t hunt or fish )C: so when I get to have wild game, it is a real treat!! Wow, that sandwich description made me salivate! Maybe one day you can foray out into the wild and bring home an elk ; ) It’s one of my favorites too. I just discovered you blog and am loving it! Im going to try the Fruit Leather that was featured on Tasty Kitchen very soon.